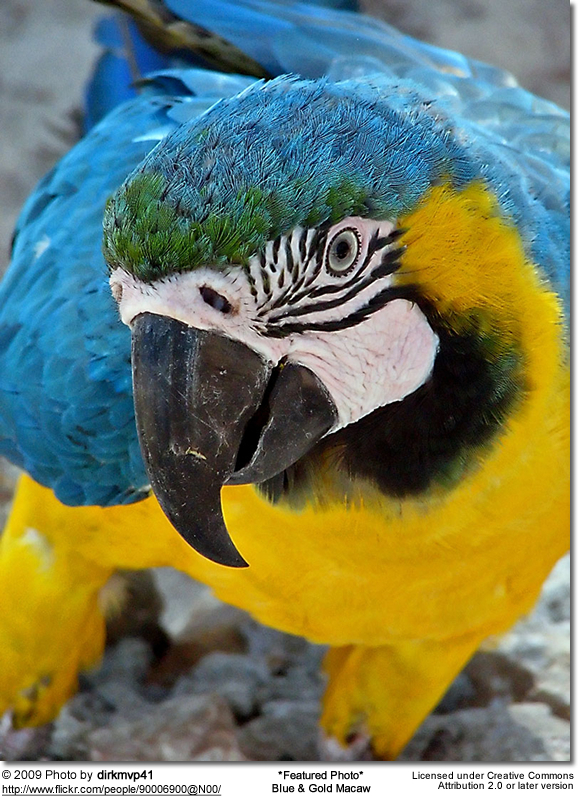 Blue and Gold Macaws are endemic to Eastern Panama through Columbia, Ecuador and Brazil. Macaws are monogamous and form a life-long bond with their mate. Macaws are playful and inquisitive and are able to mimic human vocalizations very well. Their incredibly strong beaks can easily to crack open incredibly hard-shelled nuts. They can reach speeds of up to 35 miles per hour.